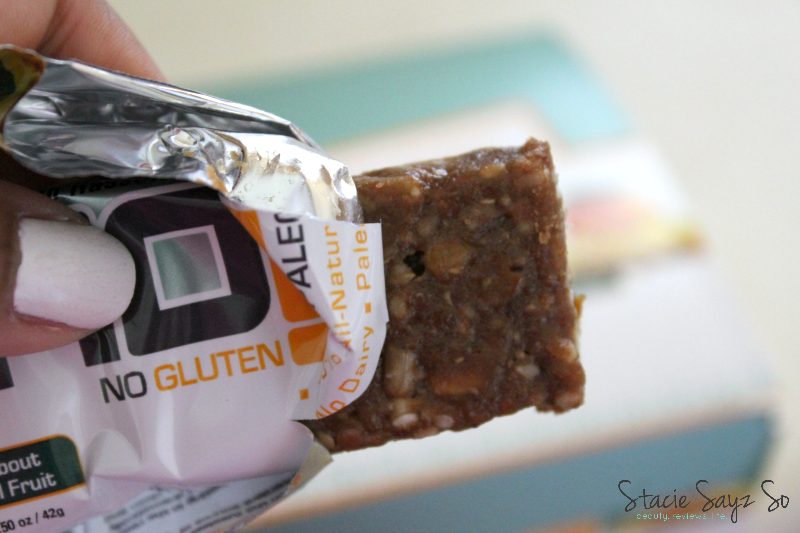 If you are looking for a good protein bar that is gluten free and tasty, then look no further. Elisabeth Hasselback has introduced a new way of snacking. 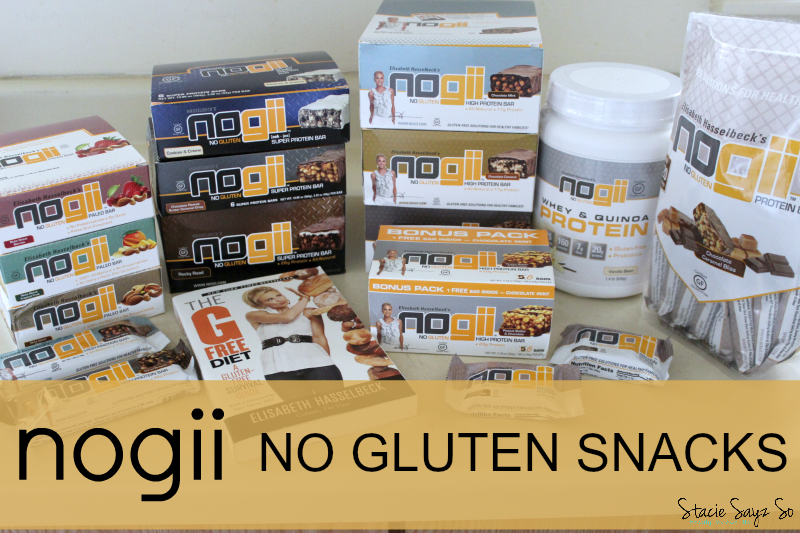 Nogii is no gluten protein snacks and is perfect for people with celiacs disease or folks that want to watch their gluten intake. 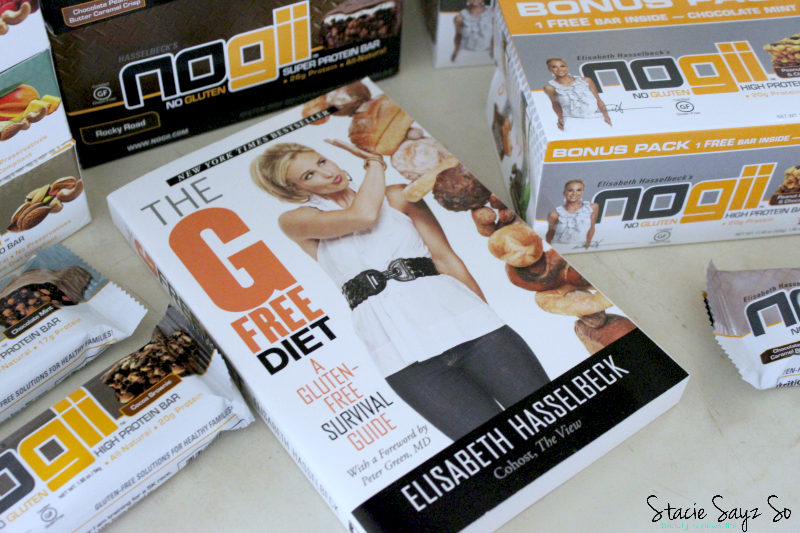 I was thrilled to receive the entire line of Nogii Gluten free snacks. Of course I will always give you my honest opinion. NoGii’s High Protein Peanut Butter & Chocolate Bar is a delicious, certified gluten free, and non-GMO protein bar with 20g of high quality protein. 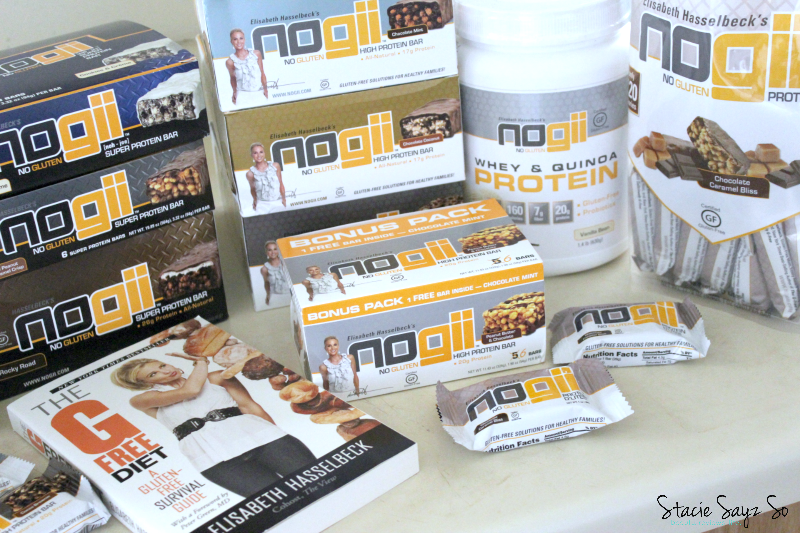 There's also a Nogii Super Protein Bar that packs almost 400 calories! Wozers! How do you incorporate healthy snacking into your lifestyle as a busy mom? Enter the NoGii TABLESETTERS contest for a chance to win a trip to New York City, where you’ll meet and have lunch with Elisabeth Hasselbeck! To enter, visit facebook.com/ nogiinogluten, look for the link for the contest, and complete the entry form. Hurry! Contest ends on July 31st, 2015. My kids have peanut allergies so I like the fact that there are nut free varieties. Their favorite bar was the Chocolate Mint protein bar. Me on the other hand, bring on the nuts! My favorite Nogii snack was the Chocolate Caramel Bliss, hands down. I pretty much ate the whole bag myself (not at once, that would be greedy). I did try the Chocolate Mint bar and I though it was a a bit gritty. I guess that's to be expected with a protein bar. The Nogii Paleo bars were okay, my fave being the Nuts About Berries bar. I found that these snacks were great after school, as an afternoon snack, or an on the go treat. 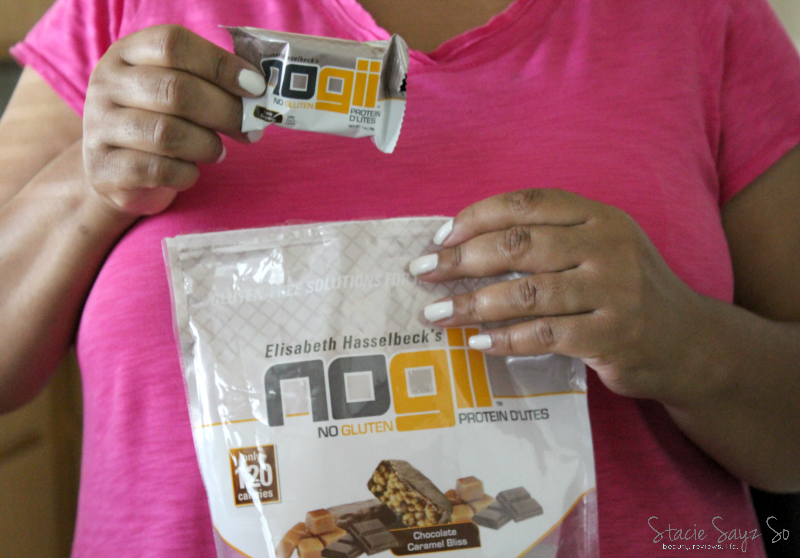 Will you be trying the Nogii Gluten Free protein snacks? You should try them. I was thinking you probably already had. Lou, if you like caramel, you'd like the D'Lites. 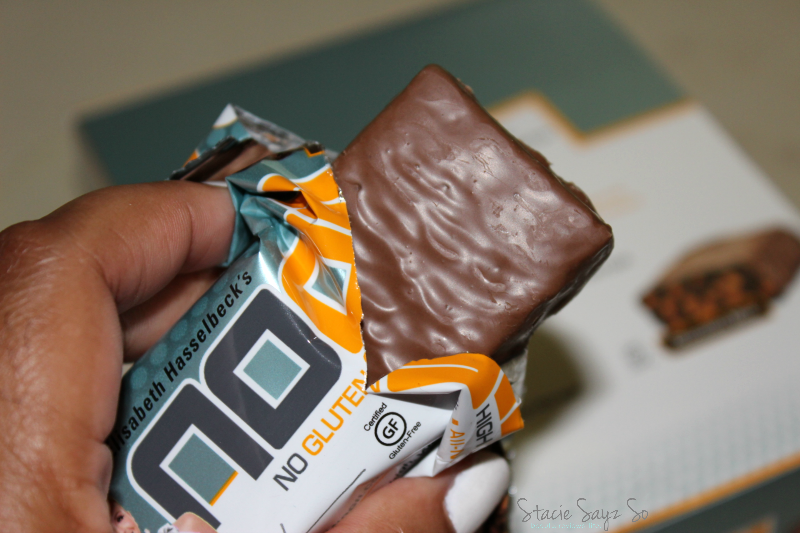 I had never seen these before until I had the chance to review them (review coming soon) I really enjoyed all the nogii products there was only 1 I didn't care for out of the Paleo bars. I think they are great products no matter if you are 100% gluten free or not. Perfect for when traveling and hiking too as they are conveniently packaged! I didn't like the Tropical Paleo bars. I wonder if that's the one you didn't like as well. I have never heard of these before. I would like to try the Nogii Gluten Free protein snacks but sometimes I get kind of scared to as I am afraid I would not like the taste of them. I think I would try the Chocolate Caramel Bliss. I love the fact that is doesn't have hydrogenated oils, or high fructose corn syrup. Amazing. For that I gotta try it. Thanks for making me aware of this brand! I don't think I have heard of these. In not crazy about protein bars so I probably wouldn't try those, but I may try one of the others. I wasn't aware of this brand. I should check into them for my mom.. she's trying to do the gluten-free thing.